by Lazybrook Civic Club - December 11th, 2010. Filed under: Around the Neighborhood, Beautification. 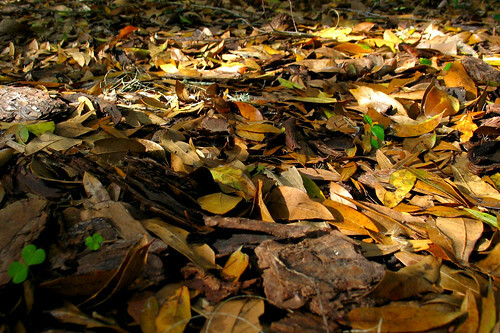 Neighbors – we have begun the annual Winter Mulching Project. Once again we will be mulching all the trees located on both WTC Jester and 18th street from the 610 Loop to Ella and including Ella and 18th around the Business Area. the large ones – once they are full are too heavy for us to lift. have gotten most of the Beds on WTC Jester already prepared for the leaves. If you own a truck -we would love if you would take some time on the weekend and take your neighbors bags to one of any of these esplanades. Just one truck load a week mulches one of those big Oak Trees on 18th street. Thanks in advance for all those that help us every year make our neighborhood look so pretty! Nancy Huegel – the Head Mulching Elf!